Denver Comic Con returns to the Colorado Convention Center May 23-25. Credit: Denver Comic Con. Issue 16 of +The Full Bleed has new data from The Beat and Devastator on last year's comics conventions and festivals. Get the overview here and the full pdf here. 33% said sales were up. Half reported no year-over-year growth. Average sales came in at $3,220, second only to San Diego Comic-Con. 2013's tally was just $2,100. 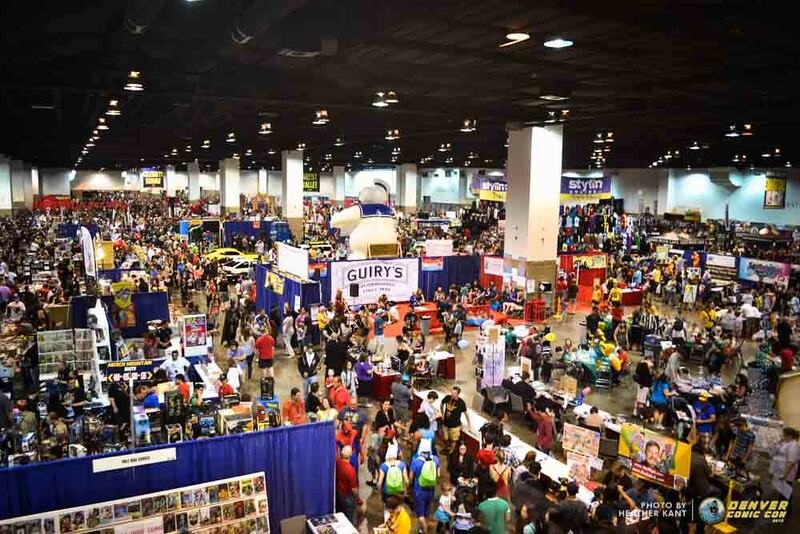 What can the Denver Comic Con organizers learn from the data? Probably nothing that they don't already know. Last year's event nearly ended with a showdown as exhibitors balked at planed charges for cart service to wheel boxes and other inventory into the Colorado Convention Center. Several stopped by the press area to complain with most promising not to return. The negative buzz ended only when DCC organizers backed away from many of the changes. I'll be curious to see if any of the big exhibitors choose to stay away in 2015. Whether they do or not, I like DCC's chances of drawing well. Pop culture guests like Lindsay Wagner and Nichelle Nichols will appeal to the same crowd that came to to see Adam West and Burt Ward last year, when a record 86,500 attended. Are you planning on going to this year's Denver Comic Con? Leave your comment below or ping me on Google+, Facebook, or Twitter. Or, subscribe to The Full Bleed and never miss an issue. You'll also get subscriber-only exclusives, including full access to the Marvel Movie Report spreadsheet and others like it. Click here to get started now.